The idea of a crawl based on the North shore originated from a discussion with Norman Vipond’s. He was very convincingly making the point that the North Shore is one of the places with the highest concentration of artists in North America and that we should have a crawl. He was looking for someone to help him with the technical side to this enterprise so we started working together on this project. The crawl was modest in size the first year but most participants enjoyed it and thought it should become an annual event. We organized the crawl for 3 more years and it grew bigger and bigger. Since its beginning the number of participants kept growing as well as the variety of art disciplines represented. It takes a few years for such an event to be known in the community and I can see the difference every year. After those four years, the crawl was beginning to be too much work for a team of 2 volunteers and we looked for an organization with more resources to take on the project. We were very happy that the Arts Council took on that task and kept the original ideas of inclusiveness and accessibility very much at the heart of that annual festival. I met Anna du Bois and Michael Gordon while renting a studio at 195 Pemberton. Together we set up a weekly life drawing group. Other the years we moved locations a few times and now our group meets in my studio every Thursday evening. 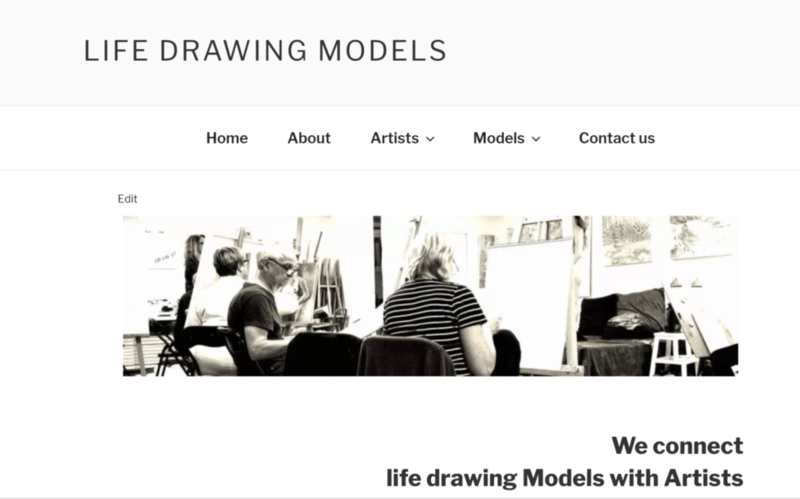 It is a very friendly group where you can practice life drawing in a relaxed atmosphere. We also organize a yearly exhibition for our class members with a great selection of figure drawings and paintings. The website is steadily growing as we have more than 100 models living in the Vancouver area listed on the website. The Big Picture Art project is our latest collaboration. This project will probably take a few years to complete and we have many exciting ideas that we are working on for its future!